Before embarking on any trip, consult your veterinarian for advice on the types of vaccination shots required for the country or areas you are travelling to. Whilst visiting your veterinarian, make sure to get an up to date copy of your pet’s vaccination history as this will be required when organizing travel and checking your pet in with many airlines. Airlines strongly disapprove of using pet tranquilizers in-flight because of the life-threatening dangers to a sedated animal at high altitude. So if need be, discuss stress-relief options with your vet and if medication really is necessary, you must have the vet’s paperwork to show airline personnel. 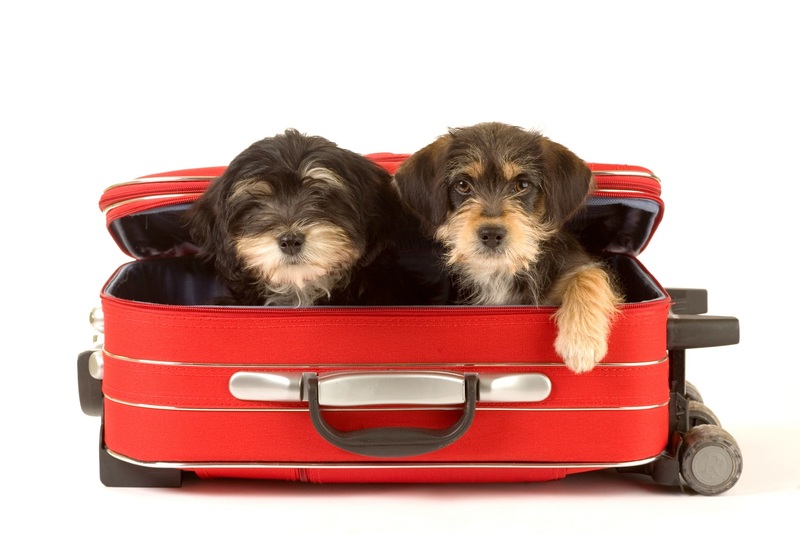 Make sure that any dogs and cats you seek to travel with are at least eight weeks old and have been weaned for at least five days before they can travel so as to lessen any shock. Pets are easily stressed, especially when they notice the slightest change in their environment let alone a long road trip. It’s important to create an atmosphere that smells familiar to them, so include some of their toys and blankets in their travel container. Similarly, another great idea is to also leave an old t-shirt of yours in the container with them to reassure that you’re close by for support and safety.